The responsibilities of the Standards Section, Bureau of Firefighter Standards and Training (BFST), Division of State Fire Marshal include the management, oversight and maintenance of the Florida fire service certification programs as defined in Statute and Administrative Code. A certificate of compliance is awarded to applicants who complete the required training, achieve a passing score on a comprehensive examination and meet the statutory requirements for certification as a Firefighter, Forestry Firefighter or Fire Safety Inspector. Certificates of competencies are awarded to those applicants who have completed the required educational and training requirements and successfully pass the certification examination as a Fire Apparatus Pump Operator, Fire and Life Safety Educator, Fire Investigator, Fire Service Instructor, Live Fire Training Instructor, Hazardous Materials Technician, Firesafety Inspector, Safety Officer and Fire Officer. Last year the Bureau of Fire Standards processed and issued 6,514 initial certifications. The Standards Section also manages the Firefighter Supplemental Compensation Program that awards an incentive to the fire department personnel with a qualifying college degree. A person who holds a firefighter certificate of compliance and is employed with the state, a political subdivision of the state, county, municipality, or a special district fire department is eligible for enrollment in the supplemental compensation program. The Regulatory Licensing Section, Bureau of Fire Prevention requires examinations for fire equipment dealers, contractors, technicians, distributors and users. Those examinations are provided through the Standards Section. In 2016, 385 licensing examinations were administered. 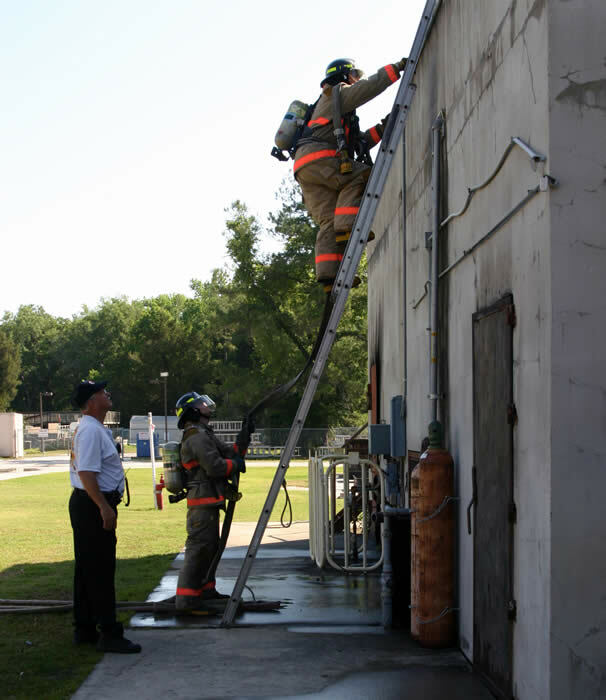 The Firefighter “Minimum Standards Course”, or Firefighter II certification, is a statutory requirement to be employed as a Firefighter in the State. This course provides the basic fundamental knowledge and skills to function in a fire fighting environment. The course consists of Firefighter part I and Firefighter part II curriculum. The part I curriculum is a minimum of 206 hours and part II is an additional 192 hours. The BFST has regulatory responsibility for 44 Certified Training Center Programs in Florida that teach “Minimum Standards”. Last year, 2,031 applicants for Firefighter II passed on the first attempt. An applicant may have one retest before becoming disqualified for certification. Candidates who have received training from other recognized fire service organizations outside of the State may challenge the test after documentation of equivalent training.